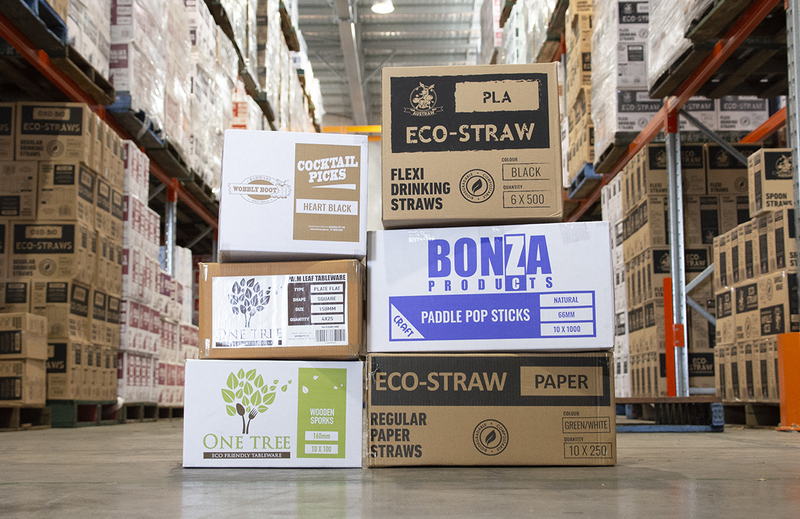 Since 1989, The Queensland Straw Factory manufactured straws locally and imported food packaging products into their factory/warehouse in Australia. October 2014 saw the business purchased by Austraw, and an expansion of product range took the business in the eco-friendly direction to meet the demand of Australia’s request for more environmental options. An expansion into a larger warehouse in March 2017 brought with it even more product ranges and the possibility to ramp up Austraw’s eco lines. As demand grew, Austraw also grew. Well established in the industry, with a strong focus on Drinking Straws as our speciality, the time has come, where we now need to make a change for the better throughout our whole business, and even though over 60% of the products we currently sell are eco-friendly, like our paper straws, palm leaf plates and wooden tableware, Austraw is now making a bold move by entering into a Transition Phase where we are changing our trading name to BYGREEN, moving to cease selling these single use plastic items by the end of 2018. We wish to contribute to helping reduce the impact of plastic waste on our environment, and we will achieve this by replacing product with eco-friendly alternatives. We have created our “Eco-Straw” range and will also look to increase our “One Tree” range of wooden tableware, while also looking for new products that are either Compostable, Biodegradable, and sustainable for the earth’s future. We will continue to work with our network of distributors all over Australia and we hope you will too. As a company, we are committed to this transition and the future of our business direction of only sourcing Green products. The history of the Austraw Brand will not be forgotten as Bygreen moves forward with a fresh new national appeal. Bygreen will be the beginning of a new era. Not just a name change, but a conscious decision and shift to becoming more responsible in the products we source and sell to the Australian Market, and to hopefully make a difference in the care of our environment. We encourage other companies and our customers/distributors to follow our move, as we transition to going Green. We only have one planet, and as the custodians of this earth, we need to look at making changes, be it small, or be it large, to make a difference. We look forward to not having a planet drown in plastic waste, and Bygreen will only stock and sell eco-friendly products moving forward. This is our commitment. Join us.